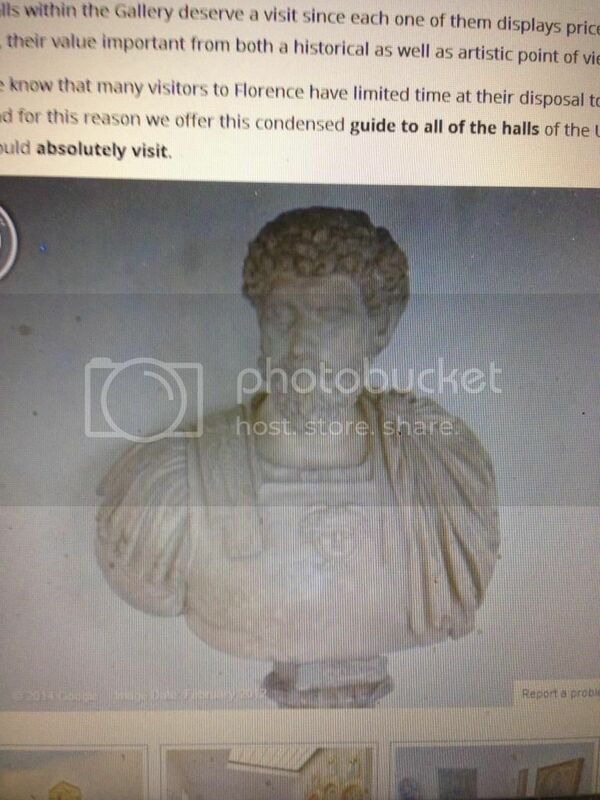 Caesar bust at the Uffizi - can anyone help me out? 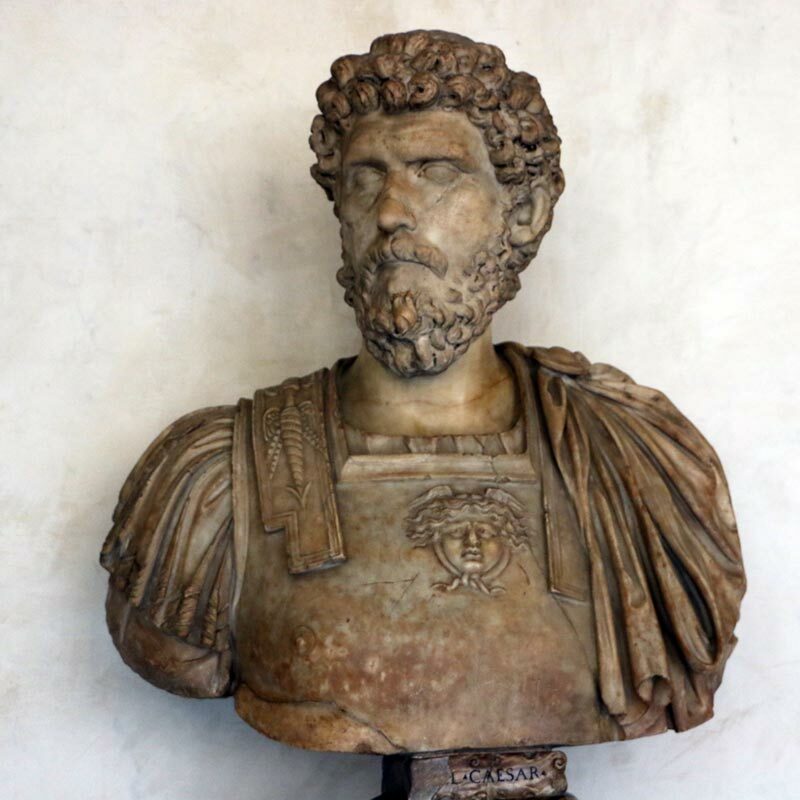 Thread: Caesar bust at the Uffizi - can anyone help me out? Hello everyone, i recently spent a week in florence and absolutely loved it. While at the Uffizi in one of the main hall's there is a fairly large bust of Caesar. 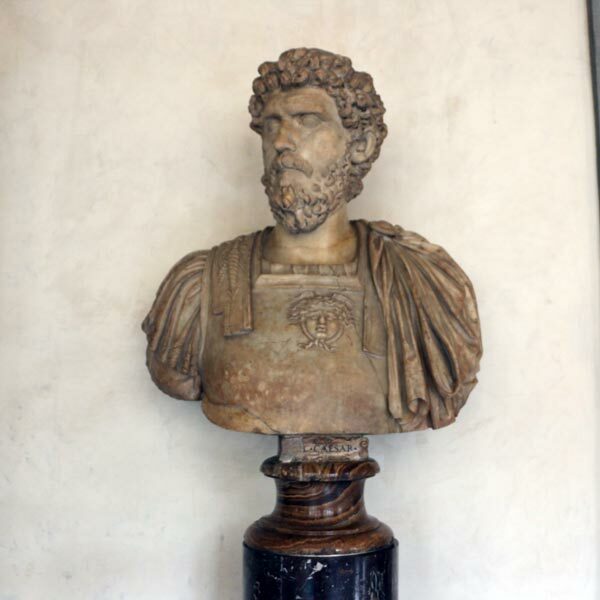 In this bust he has longer hair, a beard, and is wearing his armour. I'd love a picture of this bust if anyone knows of the one. However i'm moreso looking for the inscription associated with this bust. It explains the sculptors idea behind it and says somthing along the lines of "The frown on his face displays the burden he carries, the beard shows he's a veteran" etc. mmmm, is this in the first long corridor? I will be visiting the Uffizi soon so I can take a look, otherwise let's see if someone else knows where to look for more info. I searched the catalog I have and all it says is that it is a copy from the end of the Repubblican era. Was it in bronze? I beleive so, in the first long coridoor on the upper floor? 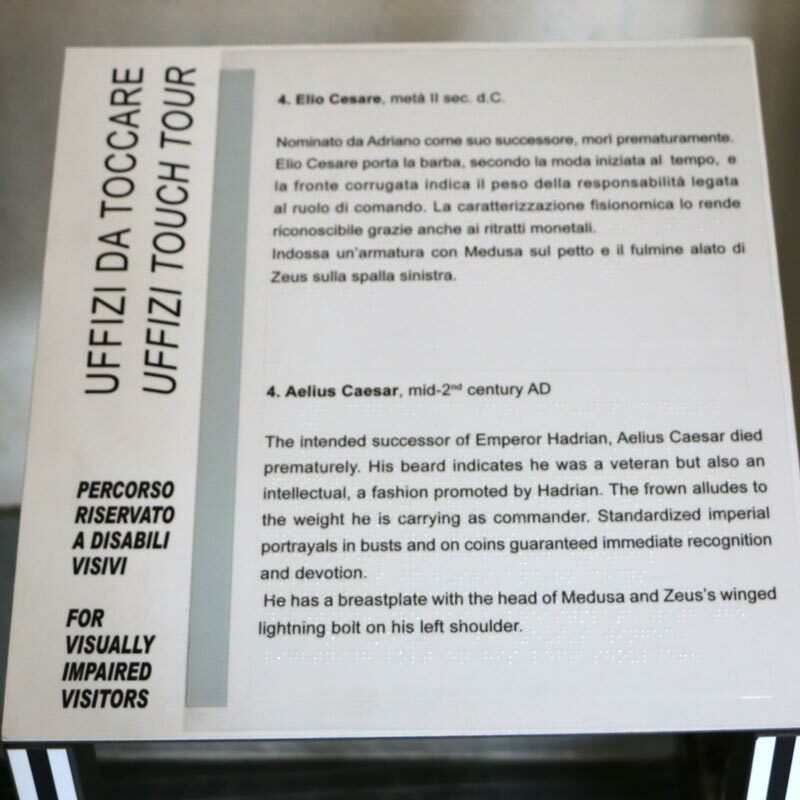 However, you cannot zoom in on the plaque enough to make it out, and I don't beleive the plaque that had the inscription I'm looking for was mounted whenever the virtual tour was created? Would he awesome if you go and remember! and here's the plaque - you remembered it quite well! if you have a paypal address you'd be willing to share i'd really love to send ya some money for this. please PM me it. It's actually for a Tattoo down the road and without this picture it would have been almost impossible. Last edited by digitalldj; October 22, 2014 at 07:42 PM. Thanks for the offer, but no It would be sufficient for me and us here at Discover Tuscany if you just tell your friends, family and anyone else you know who's planning a trip to Italy and Tuscany to look us up, telling them what a wonderful and useful site and forum we have!